March 12, 2019 | Posted in Installation, Reactive | No Comments. 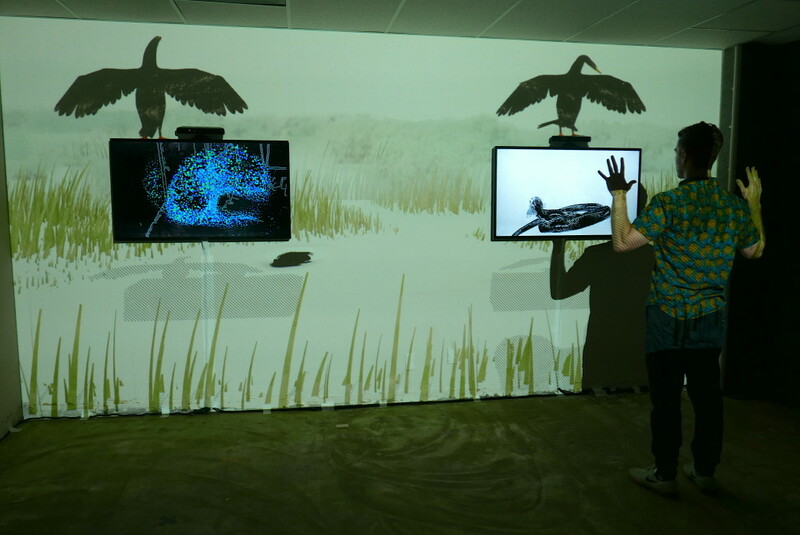 Glades is an interactive, abstract representation of human introduced impacts on the Everglades ecosystem. You walk into a room with two reactive displays on a wall. On the left, your body movement forms toxic blue algae on a simulated water surface. The more you interact with it, the more algae is formed; touching on the current issues that humans are introducing toxic elements into the Florida water supply. 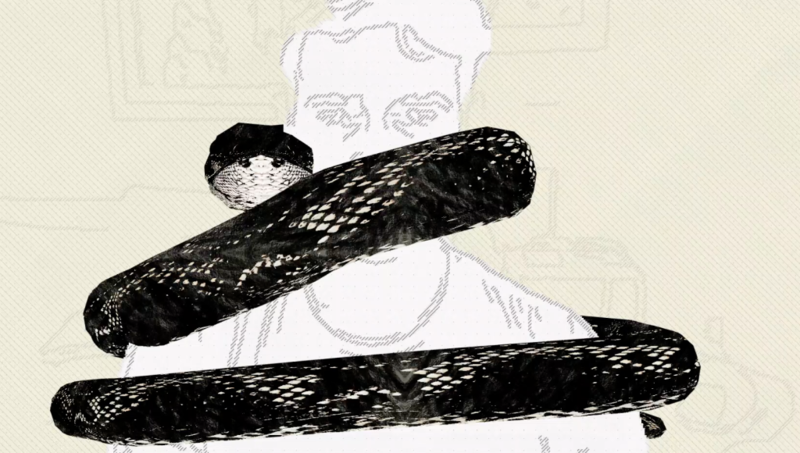 On the right an invasive python wraps around your silhouette as you move about the space. The python is meant to be slightly uncomfortable as it slithers and wraps around your body; conveying how this non-native species has invaded the Everglades. 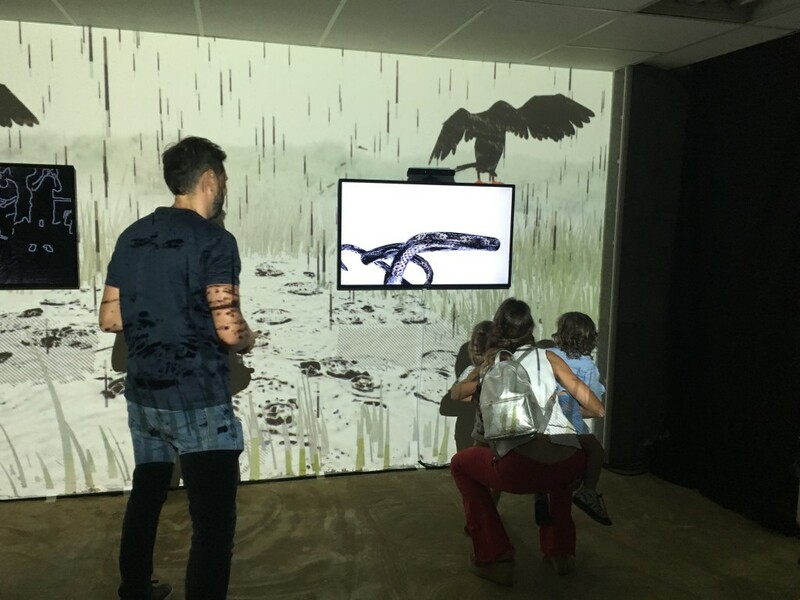 A large projection of a stylized Everglades landscape connects the two interactives. An anhinga flys, swims and lands between the two displays. The Anhinga is very iconic for me; the way it spreads its wings to dry them after a swim. The projection creates an immersive environment; a sense of the Everglades in its natural, untouched state. Depth sensors track your movement, so you don’t need to hold or put on any tech, just move your body. November 15, 2017 | Posted in Experiment, Open Frameworks | No Comments.